The ABC’s Chief Executive is responsible for the development and execution of the association’s strategy, working with the Management Committee and partners. They will also build and run a sustainable organisation that supports members and the industry in the pursuit of their goals. Graham is a passionate climber, having climbed all over the world and in literally dozens of walls around the UK! He works part time as the ABC’s CEO, and part time as a Partner in a large management consultancy. Earlier in his career he was an Army Officer, and Senior Manager in the public sector. He has a BEng (hons), MBA and is a Fellow of the RSA. 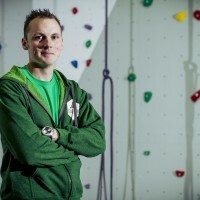 Rich Emerson is one of the Directors and founders of The Climbing Academy (Bristol and Glasgow). A life long climber he started on Yorkshire grit when he was a youngster and has since climbed and been ski mountaineering all over the world. 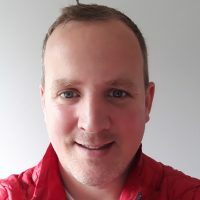 In his working life, prior to joining Paul Twomey to set up The Climbing Academy, Rich owned and ran a management training consultancy running training courses for big corporate organisations. The training company still runs and Rich is a non exec director. I’ve been a keen climber since my early teens and first started on my school climbing wall just like the majority of climbers these days! After trying my hand at many outdoor sports climbing was a firm favourite and I quickly became involved in helping others at the sport. After a spell working at Howtown Outdoor Education Centre I left with a climbing qualification and quite unexpectedly started working on a climbing wall in the Dolphin Centre, Darlington. At the time this wall had been rated the 4th best wall in the country! Move on 25 years and here I am at the helm of Awesome Walls Climbing Centres Ltd with 4 UK walls and 2 in Ireland. My latest creation is Awesome Walls Sheffield that has become the first climbing wall to gain the BMC’s title of ‘National Performance Centre’. With my knowledge of climbing walls I was voted in to the ABC Management Committee in 2013. Lee has been managing director at The Boardroom Climbing since 2013 when he set it up. He has been climbing since 2000 and an instructor since 2002. He has competed at international level in canoeing then moved into outdoor instructing as a job. 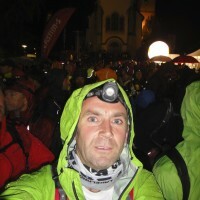 This has taken him from working and running various outdoor centres around the UK and a bit abroad to working for charities and now managing The Boardroom. He enjoys all types of climbing and when he gets chance is just as likely to be in Scotland on some ice as in North Wales on a multi-pitch. He has done a little mountaineering in the Alps and further afield and time permitting tends to grab a quick boulder whenever possible. Climbing, like most of us, hooked me during my mid-teens and ever since then from Sport Climbing in Europe to Traditional Climbing in the Peaks, I have always had a desire to not only be involved in the sport recreationally but also to have a career in it too. I have been involved in the climbing industry in a professional capacity for the past 14 years. 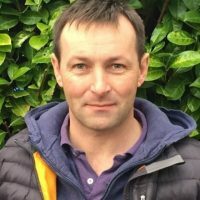 From an instructor, coach and route setter to Centre Manager of Reading Climbing Centre / Head of Health & Safety for the Climbing Centre Group, I have gained a passion and drive for developing the industry in both health and safety procedures and the future progression of the sport through grass roots and advanced coaching. I have had the privilege of working with a number of highly experienced Technical Advisors and Coaches to help develop my skills in these areas and transfer them into our day to day running at the Climbing Centre Group facilities. Due to my experience in Facilities Management and Health and Safety Procedures, Policies and Guidelines, I was voted into the ABC Management Committee in Sept 2016. 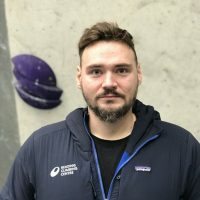 Duncan is a relative new comer to the industry, becoming CEO at the Castle Climbing Centre in December 2015, but he has been climbing indoors and out for the past 20 years. As a passionate, if not accomplished climber, Duncan jumped at the chance to run one of the country’s biggest and busiest climbing walls. His background in Social Housing might not appear at first sight like a good grounding for this industry but Duncan believes the leadership and organisational management skills he learnt delivering good quality, low cost housing in one of the world’s most overheated housing markets will prove useful in dealing with the unprecedented boom in indoor climbing we are now experiencing. Duncan has also been involved in not-for-profit governance positions, currently chairing a Housing Association in North London. He hopes that this experience will also help the ABC develop to meet the challenges of the sector. 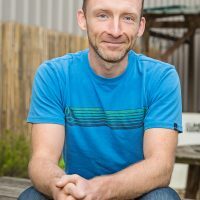 Climbing has been a big part of Scott’s life since he first touched the rock over 14 years Ago.Working in the outdoor industry for over 10 years he has been involved in all aspects of climbing from teaching at a grass roots level to coaching academy climbers both indoors and out. 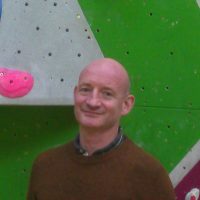 He has held several roles within climbing from instructor through to Operations Manager at Reading Climbing Centre. During this time Scott also undertook the SPA and CWA awards. 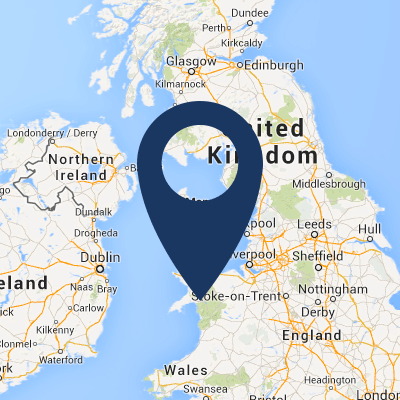 Before undertaking the role of Head of Membership Services, Scott had been working as the Business Development Manager for large aerial surveying business covering the UK and Europe. He looks forward to combing his knowledge of climbing and understanding of Business Development to help shape the future of the climbing industry. Scott enjoys all aspects of climbing, if he can’t be found at the local wall or crag you can find him walking the hills of UK. 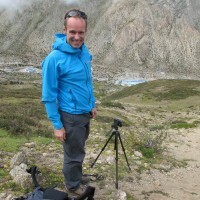 Founder and Managing Director of The Project Climbing Centre, Former GB Team Manager and BMC Specialist Committee member. I’ve been working in the Climbing Industry in various roles for over a decade now. I have a particular interest in pushing the boundaries of what we can achieve; in 2013 I opened the first commercial centre that had no t-nuts and subsequently I’ve been delving deep into the world of business development and improvement in order to try to understand where we’re going as an industry. My full-time role is Climbing Development officer for Active Stirling, who are a sports trust for the Stirlingshire area. My role is to develop climbing in the local community through local schools, clubs and organisations. I do this managing the climbing wall at the Peak sports centre in Stirling and it gives me great opportunities to work with and develop local groups. I am an experienced wall manager having been in this position for the last 9 years. Working in a multisport environment where climbing is only one aspect of what the facility provides I have different challenges my climbing wall faces in these settings. Working in close partnership with the local authority means my work is not just commercial but involves reaching goals to improve health, wellbeing and inclusion for many groups and work closely with schools. I am involved in an integral part of the sports and activity development strategy for the Stirlingshire area. My first introduction to climbing was through indoor walls at a young age. 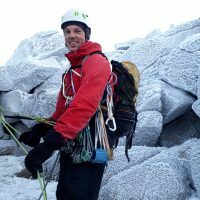 My experiences in climbing vary from taking my kids out for a climb at the local crags to summiting 6000m peaks, I’ve tried a bit of everything and enjoy it all. As I have progressed I had the opportunity to make climbing my career and took it. I haven’t looked back since and find it such a rewarding industry. I now hold the Mountain Instructor Award and love introducing people to the cliffs and mountains of the UK and helping them develop. I am also a member of the newly created ABCTT coach development team. And deliver Ready to Rock courses for Mountaineering Scotland. And even assess the odd Duke of Edinburgh Expedition when I can fit it in. Founder and CEO of The Climbing Hangar since 2010, co-founder of the Women’s Climbing Symposium, creator of the UK’s biggest UV Climbing Competition and party and now the first UK Climbing company to introduce private equity into the industry, my industry CV is diverse and nowhere near finished yet. 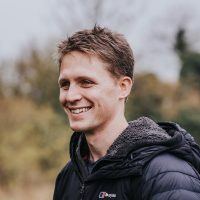 Discovering climbing at university forced me to give up my first successful business as a chef to learn how to teach climbing as a career where I spent five incredible years in Scotland teaching in the mountain, rivers and lochs. Happy whenever I’m leaving the ground, by whatever method, but most happy on sea cliffs. I’ve also coached the NE GB youth team, been a secondary school teacher, sold cheese, ran bars and worked in construction. Hopefully this gives me a broad perspective to bring to the ABC!